When you’re out of college and working on your career, it can be challenging to find where you fit, particularly within the Church. The traditional structure of the family and the natural social structure of college are removed, yet in this formative stage of life, people need support, social and spiritual, as much as ever. 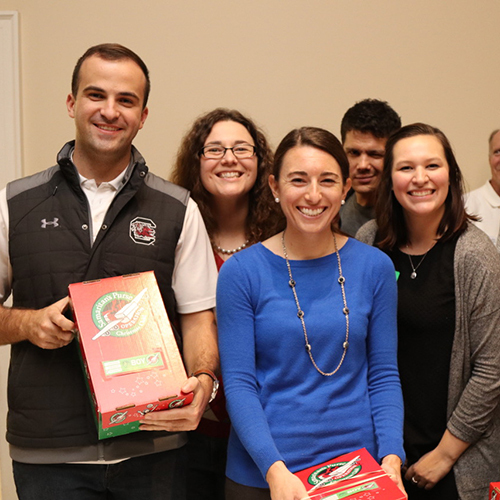 FIRST Young Professionals strives to provide that community while people figure out those big decisions in life, such as career, marriage, where to live, and where to serve as they seek their identity and belonging in Christ and His Church. Together we live, play, work, and serve the Body of Christ. Where Do We Meet on Sundays? We are now in the new 1420 Sumter building (formerly the YMCA). Enter through the Sumter Street entrance and we’re in Woodrow Hall. We understand that this church campus can be confusing though, so if you want to have someone meet you to bring you up, e-mail April here by Friday before you come, or visit our welcome center located between Boyce Chapel and the sanctuary. Look for signs on Hampton Street in front of the sanctuary. 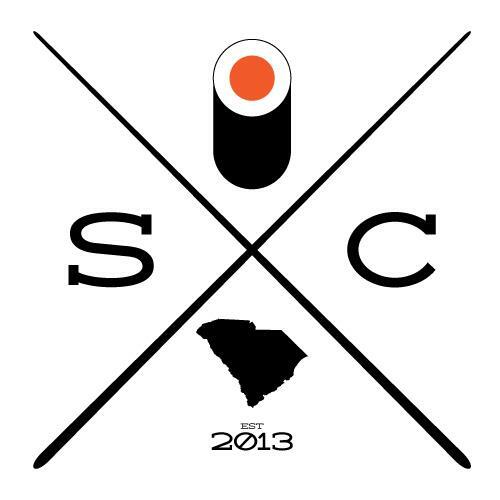 What started as just a group of friends attempting to try every sushi restaurant in Columbia has now become a chance to try new restaurants, catch up with friends, and make new ones. We get together every other Tuesday for dinner at a different restaurant. Find out more information here. 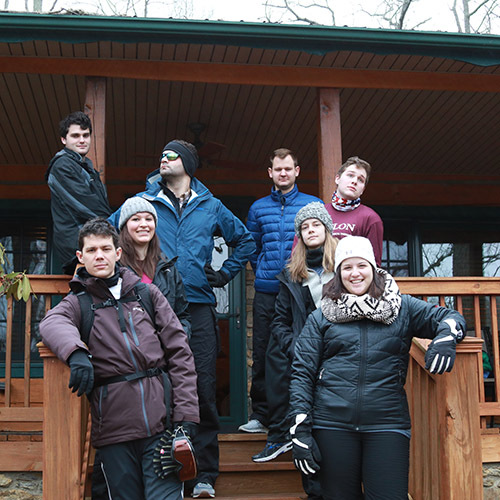 Day trips, game nights, fun, and adventure – that’s what our special events are all about. We do what interests us and we do it together. Serving our communities and showing the love of Jesus is important to us. It’s even more meaningful to serve with friends. We serve different areas of the church (such as Student Ministry, College Ministry, and International Ministry), strive to be active in making Columbia and our surrounding areas better places to live, and go abroad in missions to bring the love and compassion of Christ to those who might not have the opportunity to know Him. 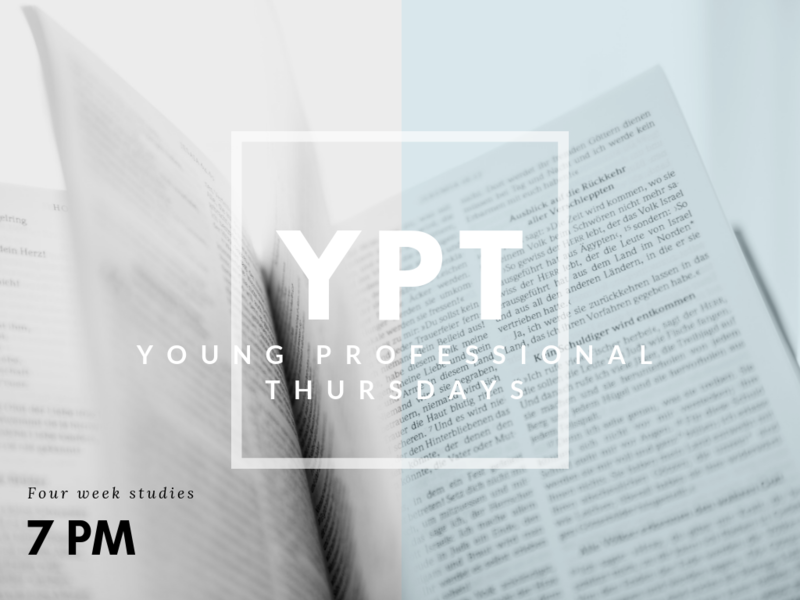 YPT (Young Professionals Thursday) is our weekly small groups gathering. We run various small groups in four-week cycles with a large gathering activity every fifth week. Check the Website, the YP GroupMe group, or the YP Facebook Group for details about specific studies.